For several years, foreign investment in the US market has been active. According to a recent report however, sales of corporate distribution spaces and other industrial assets leveled off in 2014. Real Estate Journals recently posted an article about the 2015 outlook. Canada will continue to top the list of foreign investors acquiring U.S. industrial assets, but Canadian buying power has diminished due to decreased valuation in its currency. Canadian investors’ appetite for U.S. product remains strong. Leasing fundamentals will continue to improve, creating tangible rent growth and continued positive absorption in most markets across the country. A lack of supply will continue to push investment pricing higher; New spec construction will not come online fast enough to meet demand. 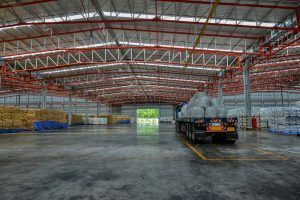 Demand for corporate distribution space and other industrial assets will remain steady for the foreseeable future—due to stability and long term growth in this sector.